The Johnson City, Tennessee, native is a board certified physician by the American Board of Internal Medicine. Dr. Dykes is a graduate of East Tennessee State University receiving his Bachelor of Science in Biology. He obtained his Doctor of Medicine from the James H. Quillen College of Medicine at ETSU before completing his residency in Internal Medicine also at ETSU. 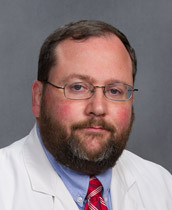 Holding numerous academic and professional appointments throughout his tenure, he currently holds the role of Assistant Professor of Internal Medicine at the Quillen College of Medicine. Dr. Dykes joined the JCIM team as a hospitalist in June of 2006.